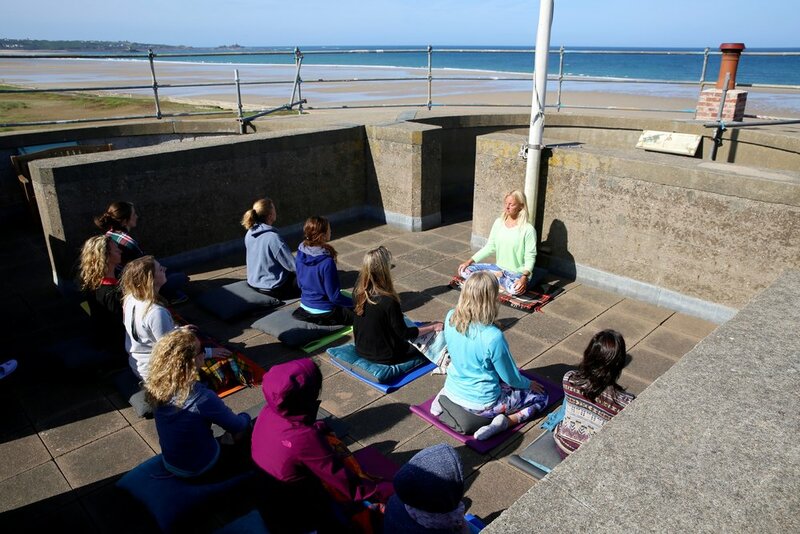 Join me and an amazing group of women for a detox Drift retreat with an environmental edge in St Ouens Bay, Jersey. Explore and play in nature; enjoy delicious, nourishing food, go surfing, head out on SUP adventures and practice different styles of yoga including pranayama and meditation. Leave behind the buzz of the city and delve deep into your body, breath, Jersey National Park and the ocean! A Drift Retreat is a unique wellbeing experience where we live fun-filled healthy days, sharing delicious organic food together. We stay in a historic Tower renovated with all the mod-cons, on the west coast of Jersey, located within the Jersey National Park. Surfing and yoga are the staple of every day whilst there are numerous additional activities available for as ‘action-packed’ or ‘relaxed’ a time as you prefer. Nutritious organic vegetarian food is served for every meal: Gluten-free, dairy-free and Raw are available. Fill up with healthy fuel needed for your day, detoxing without even noticing: Fresh juices, smoothies, super foods, mostly locally sourced and wholesome food. Wake up to yoga each morning, surf sessions every day and explore the nature and wild life on your doorstep with five miles of pristine beach and Jersey National Trust’s Wetland Centre nearby. Nature dictates the schedule. We are flexible and we roll with what nature decides. If there are waves, we surf. If the surf is flat, we SUP (Stand Up Paddle Board). If the wind is strong we visit a more sheltered beach. We aim for a group swim in the sea every day. In the afternoons we walk or go foraging for wild food. In the evenings there is time to wind downed watch the sunset over the Atlantic. We share stories and laughter over an open fire. In September 2017 we were joined by the legendary Belinda Baggs. 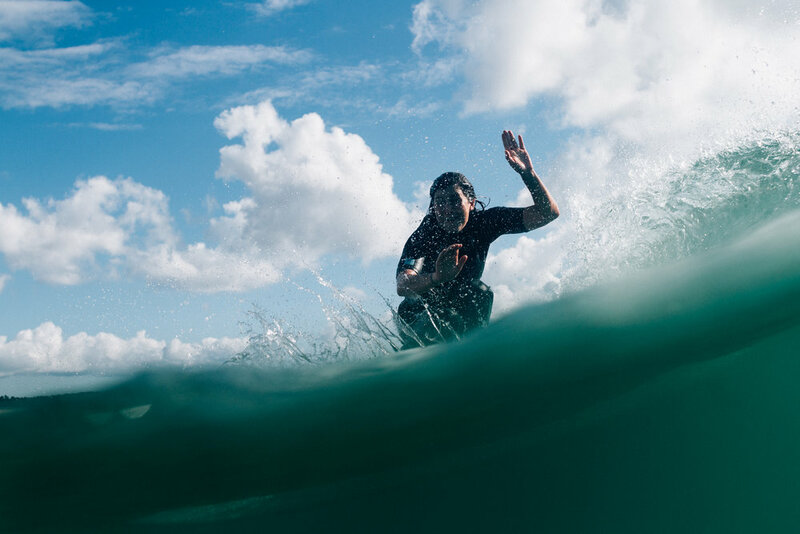 Belinda inspired us all with her easy going nature and love for all styles of wave riding. We talked, surfed, laughed, wandered and feasted to our hearts contents. Our theme was "she-roes" and the tower gave us space and time to ponder with our new found community, how we could become our own (s)hero. Robbie Dark captured our weekend and we are so grateful to Belinda and all our guests for joining us.